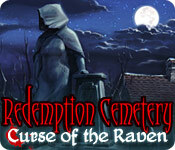 Redemption Cemetery: Curse of the Raven is rated 4.1 out of 5 by 47. Rated 5 out of 5 by Majestyx12 from Enjoyable Game with Ghosts Based on the finished game. This is a older game from Nov. 2011 and it worked fine on my Windows 10 PC. It has the standards of that year which has no map, slow hints and skips. No reset on puzzles. Has nice journal to keep your notes of findings. My favorite part is the list Hops which to this day is my favorite. These hops could be better has far as they are small, cluttered, and too well hidden. I also had to turn my monitor up too 100% brightness. (Some places are dark). I counted 25 hops. When I started to take note, they ranged from 16 to 20 items per hop scene. I did have to use Big Fish Game's on-line walk through in two different places. The first time, I missed picking some thing up and the hints will not lead you. The second, I needed a guide. 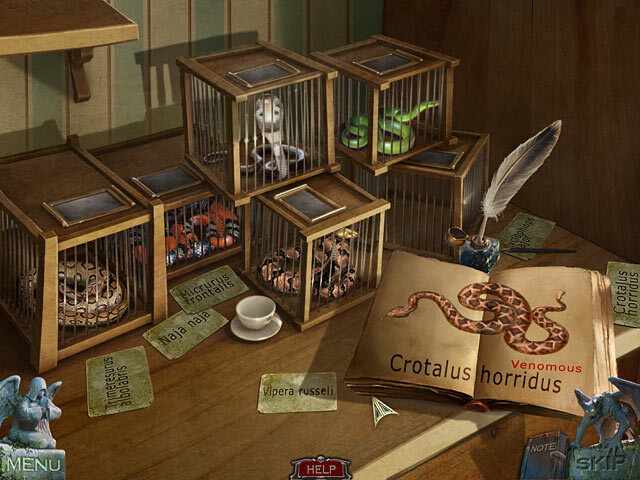 I would of bought the Collector's Edition if it had a collectible or morphing objects. In some places it will sent a smarm of bat using the hints, like in the hops and other places but don't count on the hints helping much in this game. Even with my complaint I'm still happy I have it and I will replay at some other time. It starts out with me in a accident and I am locked in a cemetery. A ghost comes to me and asks for help so I go back after their death to finish some thing for them. When I finish then they help me. Three different ghost encounters with different places back in time. I even liked some of the ghostly effects. It's a long game with wonderful scenes. You do travel back and forth a bit. I was so happy I have this game in my collection. You may want to try it first to see if it a fit for you. Rated 5 out of 5 by crisgori from LIked it Better than the newest of the serie, it has nice graphics, well done HOS, interesting puzzles, good length and chance to use your memory skills. The only complaint are the sparkles for the HOS even in advanced mode. Rated 5 out of 5 by Aslanet from Excellent Game Interesting story line. Long game, many stories to solve and actions to be taken. I was trapped until I could finish it. I loved this game; recomended. Rated 5 out of 5 by Marth2241 from Redemption Cemetery: Curse of the Raven Redemption Cemetery: Curse of the Raven is a amazing game to play. Rated 5 out of 5 by mousemotorsrule from Related to the enigizer bunny!! This game just keeps going and going and going!!!! Just when I thought it was ending...whoosh..another story to follow. Excellent form and storyline. Rated 5 out of 5 by Wheezer52 from Intense had to keep going. This was a great game I was so into it I didn't want to stop, I played until 3 in the morning. 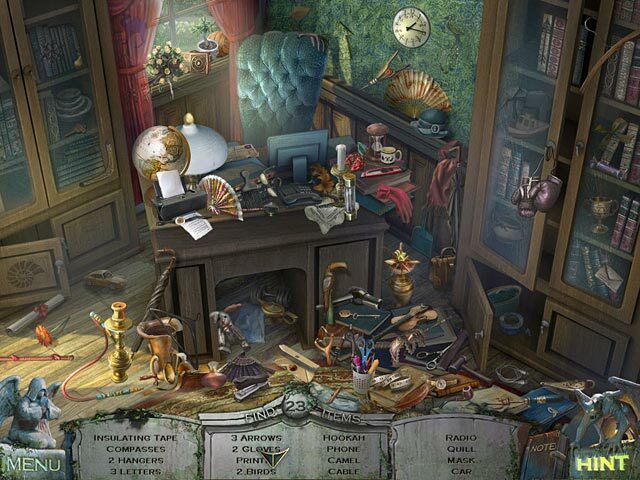 I sometimes had to go to the forum to get help.I thought the story line was good but also sad.This is the best hidden object that I have played and wanted to continue in a long time and the prize A+. Rated 5 out of 5 by neilskinut from fun game to spend the day with Not a bad game at all. All the redemption cemetery game are close to each other on game play. Can be difficult at times but fun game. Rated 5 out of 5 by BanditRedd from Fun Game I have all the Redemption Cemetary games. Just played this one again and will play the next one before I purchase the newest game. This game is a fun factor. Liked how the stories were all set up. Looking forward to playing the newest game!!! Rated 5 out of 5 by centauri272 from Nice game! The storyline is interesting, you have to help 3 ghosts. I played in expert mode. - The graphics are wonderful. - The HOS are clear. 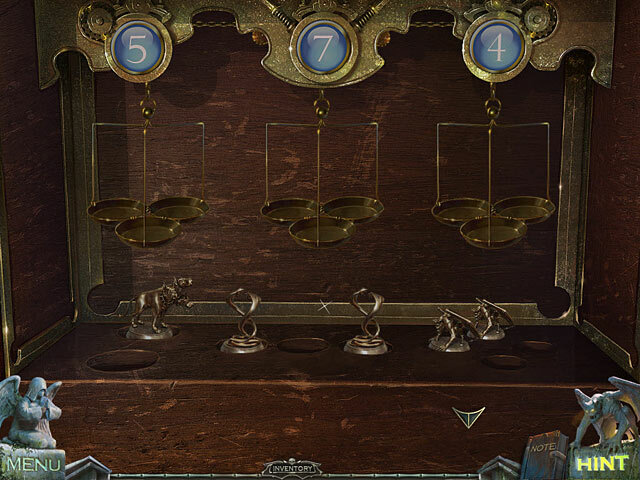 - The puzzles are easy. - The journal is helpful. - There is no map, but there are not many locations in each chapter. I needed 3 hours to finish. All in all, a really good game! I recommend also the second part.